‘Hunter x Hunter’ is one of the most popular action, adventure anime out there. It is also one of the highest rated anime. The anime follows the adventures of a boy by the name of Gon whose father left him to pursue his dreams. Gon sees his father as an inspiration and wants to follow his footsteps. But before searching for his father he needs to become a hunter like his father. Hunter is one of the most respected and highest paid professions in this anime. But becoming one is tough as an applicant needs to pass a tough exam. During his adventures, Gon meets Killua, an assassin, who becomes his best friend. If you enjoyed this anime and are looking for similar stuff then here’s a list of anime which are similar to ‘Hunter x Hunter’. You can watch several of these anime like Hunter x Hunter on Crunchyroll or Netflix. This is one of the first anime which pops in mind when thinking of anime similar to ‘Hunter x Hunter’. ‘Naruto’ is one of the most popular anime. If you are an anime fan then it’s certain that you have heard of it if not seen it. IT is one of those anime that will make you understand why anime attracts people worldwide. The animation and art of the anime are beautiful. The attention to details when it comes to the fight scenes be it the physics or the moves are quite creative and smooth. The anime follows the adventures of a young ninja who aspires to become the greatest ninja ever and be the Hokage of his village. That young ninja is Naruto an orphan who just loves causing trouble. When Naruto was born the demon fox Kyuubi attacked his village. To prevent further destruction the fourth Hokage seals the spirit of the fox inside Naruto. Though the Hokage wanted Naruto to be seen as a hero the villagers left him alone and stayed away from him. The anime follows Naruto as he changes from being a delinquent to becoming the greatest hero of his generation. 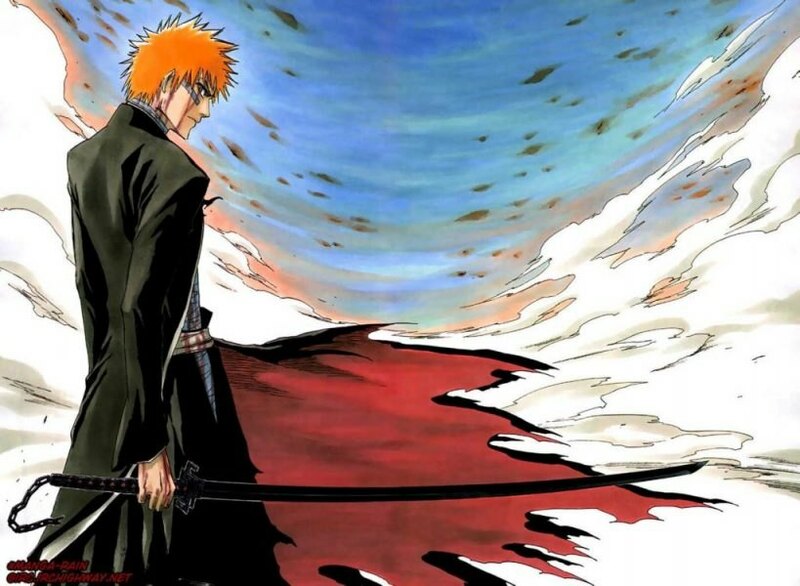 One of the most popular anime, which makes the shinigami look like a badass, is ‘Bleach’. It is a great anime series and is quite similar in feel to ‘Hunter x Hunter’. Here too, whenever a new enemy approaches, the main characters begin training to increase their power levels. The fight scenes are quite detailed and the storyline is quite fun and entertaining. Ichigo Kurosaki is an ordinary teenager with a special ability to see ghosts. One day he finds a huge monster, which we later come to know as a Hollow, which feeds on souls attack his house. There he encounters a soul reaper by the name of Kuchiki trying to fight the monster. But she gets hurt. Ichigo then accepts Kuchiki’s offer and takes her power to defeat the monster. Now, Ichigo is a soul reaper himself and with Kuchiki being hurt he must take the task of killing these monsters. But being a soul reaper isn’t as easy as one would think. ‘Hunter x Hunter’ is popular for its action and martial arts themes. It is entertaining to see the main characters train and get stronger to be able to cool moves to defeat formidable enemies. 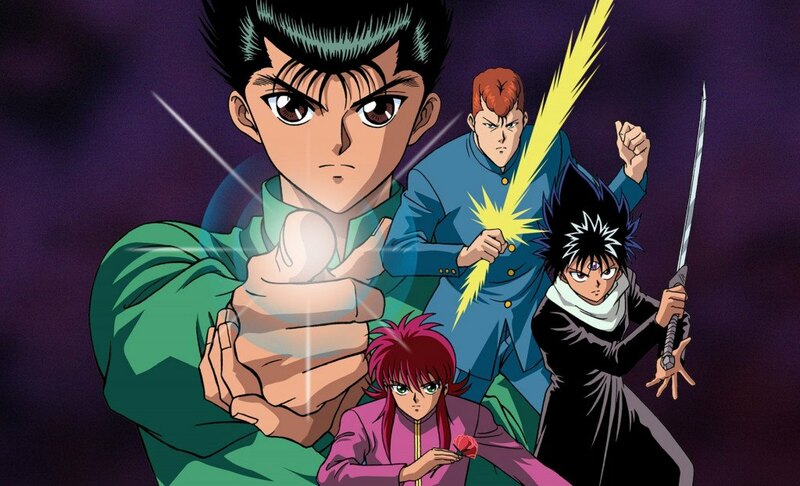 ‘Yu Yu Hakusho’ walks on similar territory. It is an anime popular for action, martial arts themes. The anime has a total of 112 episodes with each episode being 24 minutes in length. It follows life or rather the death of a boy by the name of Yuusuke Urameshi who is fourteen years old. Yuusuke is a delinquent and loves causing trouble. His future does not look too good. But one day he does the unthinkable and jumps in front of a moving car to save a young boy. This act of his is so self-sacrificing that the authorities at the spirit realm do not want him to die yet. So, they give him a chance to do a series of tasks upon completion of which he will be able to regain his life. Staying in the zone of martial arts theme let’s take a look at the next anime on this list, ‘Rekka no Honoo’. To be honest, this anime might bore you if you have seen most of the anime on this list. This is because the show is your typical shounen anime. The story will feel stereotypical because it is but you need to remember that the show came before series like ‘Naruto’ and ‘Bleach’ hit the shelf. Anyways, the anime is entertaining if you like such stuff and has some good martial art action sequences. 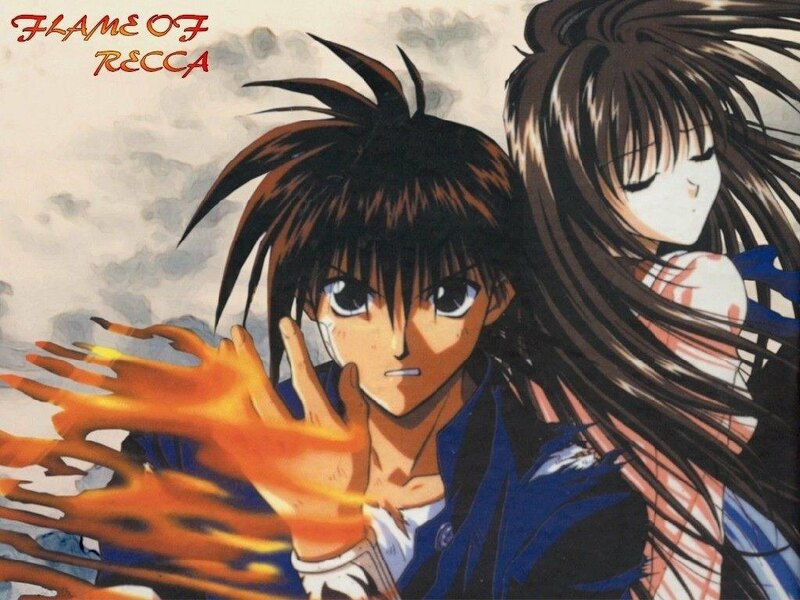 The anime follows the adventures of Rekka Hanabishi, the protagonist and titular character of the anime and the last surviving member of a ninja clan. Initially, Rekka has no idea about his lineage but he still proclaims to be a modern-day ninja and gets into lots of fight having proclaimed that he will serve anyone who defeats him. But he soon finds out that he is an actual ninja and there are people after him. ‘Magi: The Labyrinth of Magic’ is a really entertaining anime which deals with action, adventure, magic, and fantasy. The show takes noticeable inspirations from the tales in the ‘Arabian Nights’. Many characters have similar names to those in the Arabian Nights. In the world of ‘Magi: The Labyrinth of Magic’, there are mysterious labyrinths which are caves having immense amounts of treasure in them. It is believed that these labyrinths are the works of magi, rare magicians, who lead people to the labyrinths and help them build empires. Djinns are supernatural beings who protect these caves. Aladdin, the protagonist of the series sets out on an adventure after living in seclusion for a long time. 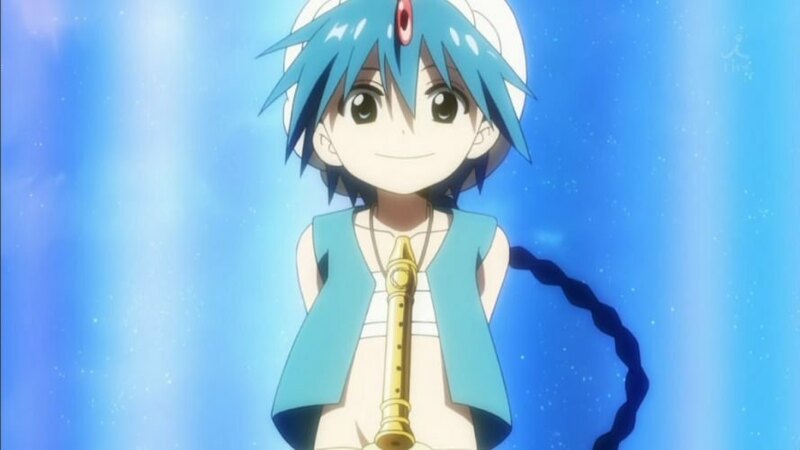 During his adventure he meets Alibaba and after a certain incident the duo sets out to conquer the nearest labyrinth. But little do they know that their adventure will change the fate of the world. Follow Aladdin and his companions on this magical journey. ‘Black Clover’ is an anime which deals with magic. The is an ongoing series which has achieved quite a popularity. It follows the adventures of two characters by the name of Asta and Yuno. Both of them were abandoned and left at the same church on the same. When they were children they learn about the Wizard King which is a title the most powerful wizard of the kingdom receives. Upon learning this fact both of them promises that they will compete for the title. But as time passes Yuno gets closer to the promise and is able to use magic with great skill but Asta is not able to use magic at all. Upon reaching the age of 15 Yuno receives a four-leaf clover as a grimoire. One day a person attacks Yuno aiming to steal his grimoire. Asta fights him but is soon defeated. But the voice of Yuno makes him gather all his strength and he releases his inner rage and receives a five-leaf clover as a grimoire which enables him to defeat the attacker. The boys then leave on an adventure to fulfill their promise. 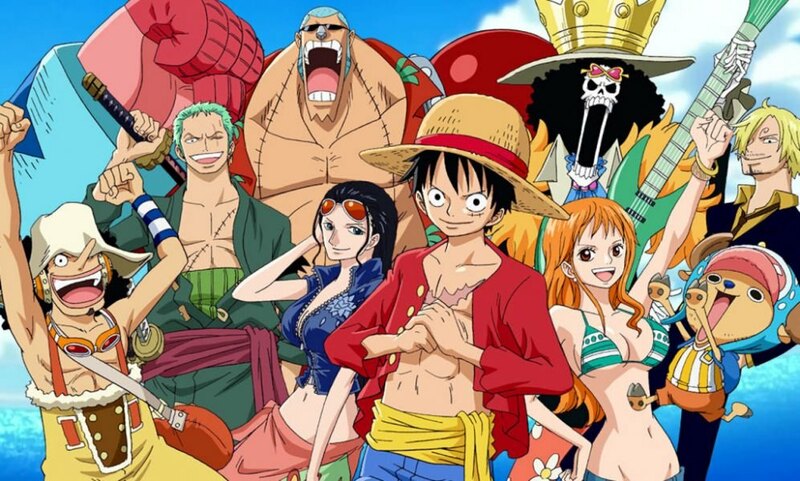 ‘One Piece’ is one of the most popular ongoing anime series. It revolves around the adventures of a pirate crew by the name of Straw Hats Pirates. Their leader is Monkey D. Luffy who aspires to become the pirate king by acquiring the treasure, One Piece. The previous pirate king Gol D. Roger was the one to accumulate the treasure and he hid it somewhere in the grand line which is the most dangerous stretch of water. Luffy has the power to stretch his body to inhuman lengths thanks to the ability of the devil fruit he ate as a child. it is a really entertaining show. Don’t get put off by the 800+ episodes. It is worth investing your time in. 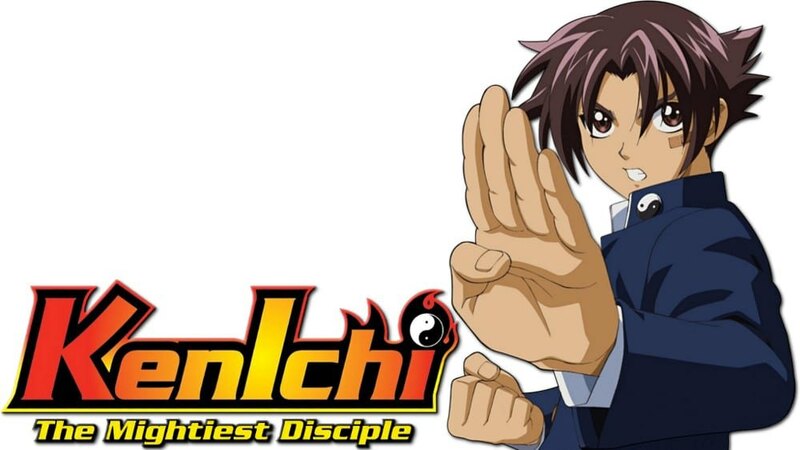 ‘Kenichi The Mightiest Disciple’ is one of the best martial arts anime I have ever seen. The way it mixes comedy even in serious situations is really great and you are sure to crack up even when the characters are in dire situation. The anime follows the life of Kenichi Shirahama who goes from being weak to being strong after going through intensive training in a dojo by the name of Ryouzanpaku where he learns under various masters. He soon comes under the radar of Ragnarok a group of delinquents who would do anything to put Kenichi down. I highly recommend you to watch this show. 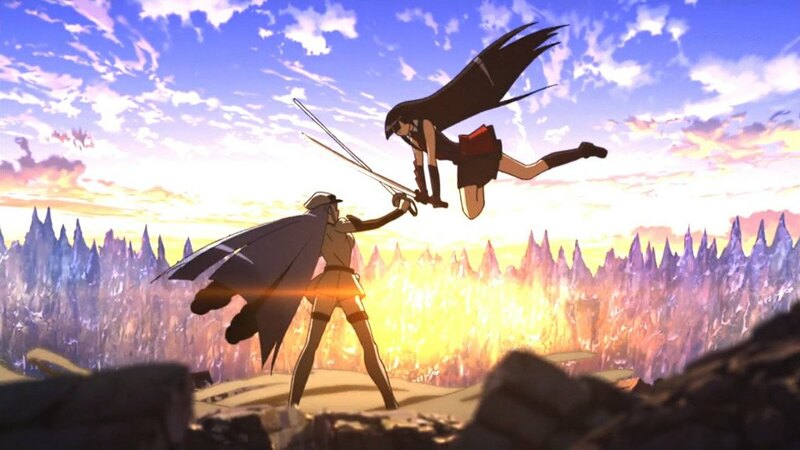 ‘Akame ga Kill’ is a fantasy anime series which has lots of blood, gore, and obviously violence. So, if you are easily put off by such stuff then I suggest you choose another anime from this list. The show follows the adventures of a group of assassins by the name of Night Raid. They support the revolutionary army in their goal to overthrow the current prime minister who is secretly trying to brainwash the young ruler. But their task is not easy as trained killers are often sent after them. Tatsumi is the protagonist of the series. He is the latest member of Night Raid. I don’t really need to tell you anything about the ‘Dragon Ball’ franchise, do I? I mean in this day and age everyone already knows about it. This is the anime which made power levels cool. It is also one of the pioneers in stereotypical shounen anime which showcases the main characters’ training hard before fighting a new enemy. 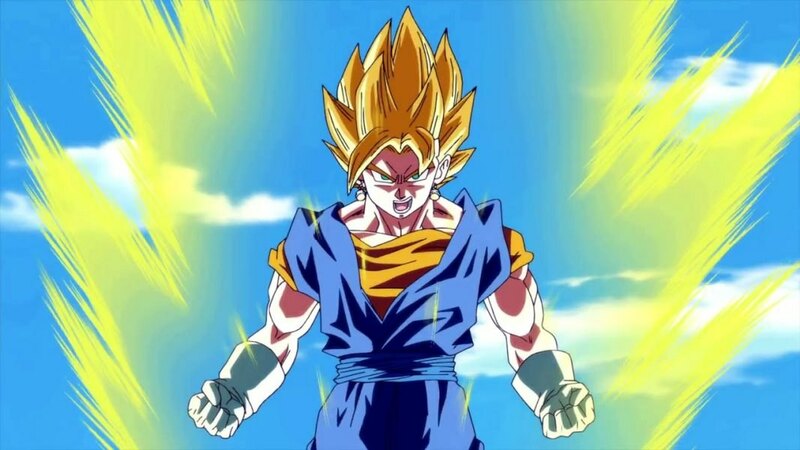 Look at Goku for instance. He went from being just a powerful alien to becoming a Super Saiyan God. The anime has just one single premise and it has been using it for more than three decades but somehow still everyone loves it. 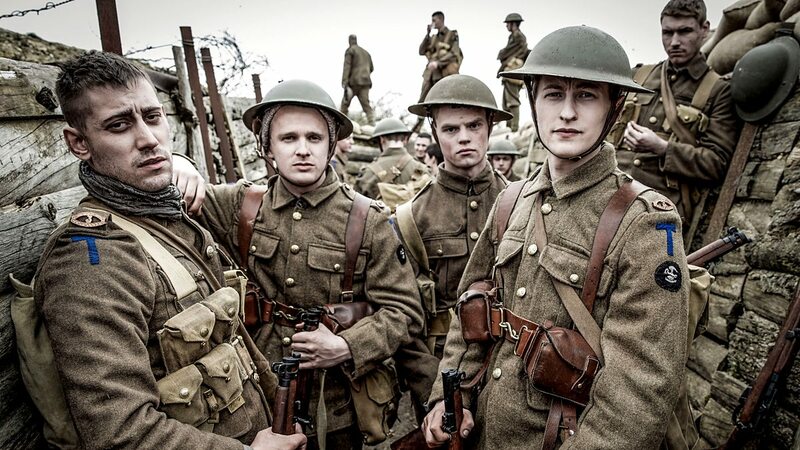 So, if you have not seen it yet then please do so. 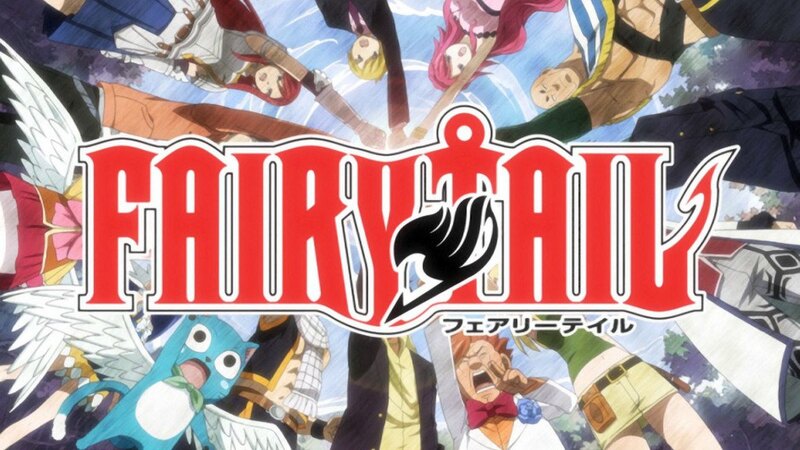 If you love fantasy anime which deals with magic and stuff then you should definitely check out ‘Fairy Tail’. It is one of the best anime in fantasy genre out there. The final season of the anime is currently airing so if you have not seen a single episode of the series I suggest you binge it since it’s totally worth it. The anime revolves around Fairy tail guild which is a group of mages who take on various tasks. It is one of the most famous guilds and has members who have badass magic skills. Lucy Heartfilia is a mage who wants to join the fairy tail guild. After being a victim of a kidnapping attempt she is saved by Natsu Dragneel who is a member of the fairy tail guild. He offers her to become a member of the guild thus starting her magical adventures. Staying in the theme of magic let’s look at another anime which is filled with adventure, magic, and action. 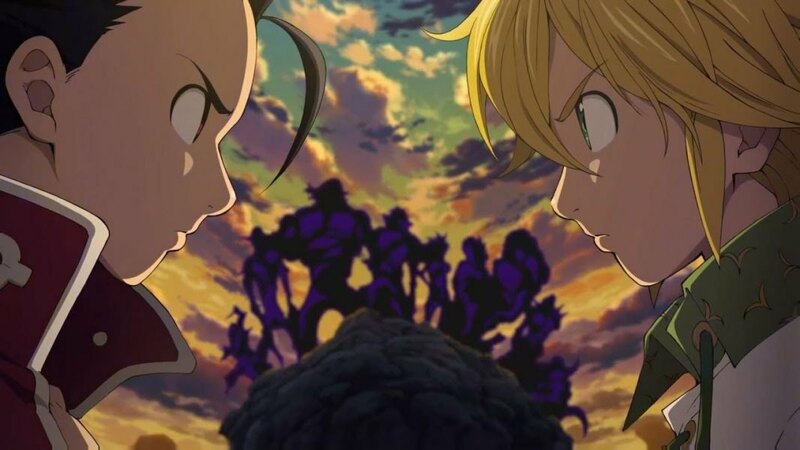 ‘Nanatsu no Taizai’ is a highly entertaining anime. It follows the adventures of Princess Elizabeth, the third princess of the kingdom of Liones, as she searches for the seven deadly sins to regain her kingdom from the clutches of the corrupt holy knights. Many years ago, the seven deadly sins, a group of powerful knights, seemingly attempted a coup to overthrow the ruler of Liones. But they were defeated by the Holy Knights. Now, the holy knights have themselves overthrown the king which has prompted princess Elizabeth to seek the sins. Let’s now take a break from fighting and look at an anime similar to ‘Hunter x Hunter’ minus all the violence. Don’t get the wrong idea though. ‘Shokugeki no Souma’ has plenty of fighting but none of it includes beating each other to pulps. The battle that goes on in this anime is that which includes culinary skills. 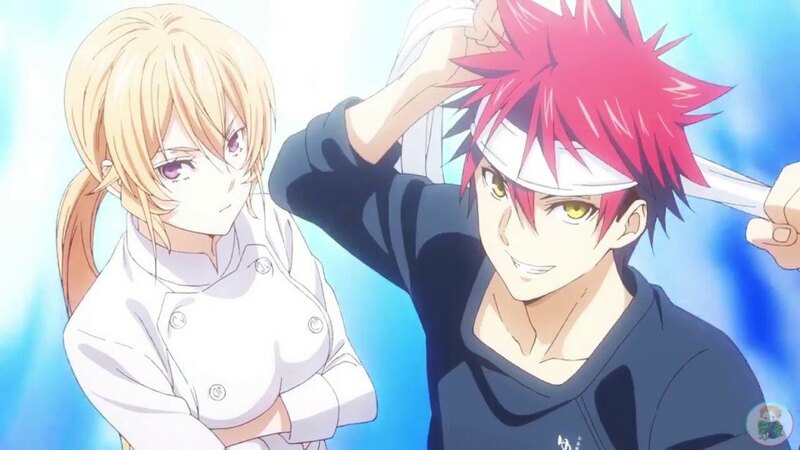 Overly passionate cooks fight against each other in food wars which is the characteristic of the elite culinary academy by the name of Tootsuki Culinary Academy. The anime follows the adventures of a young cook by the name Souma Yukihira as he uses his skills to become one of the greatest chefs. I just need an excuse to put ‘One Punch Man’ on the lists that I do. ‘One Punch Man’ is a great anime show. It is one of the best anime shows about superheroes. The main reason behind its huge fan following is because it is a parody of the superhero genre. The show is quite similar to ‘Hunter x Hunter’ in its structure. 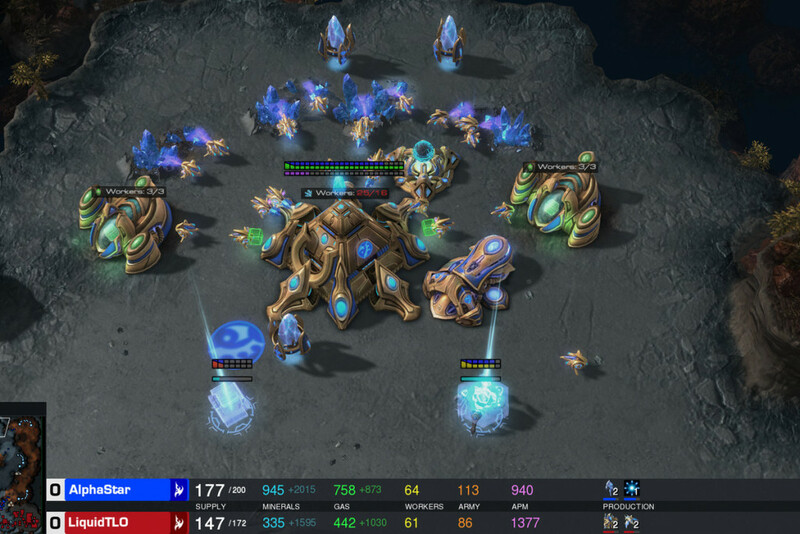 Both shows deal with an organization whose members are highly respected all around the world and are highly skilled. Saitama is the protagonist of ‘One Punch Man’ and as the name of the anime suggests he is so strong that he can defeat any enemy just by a single powerful punch. 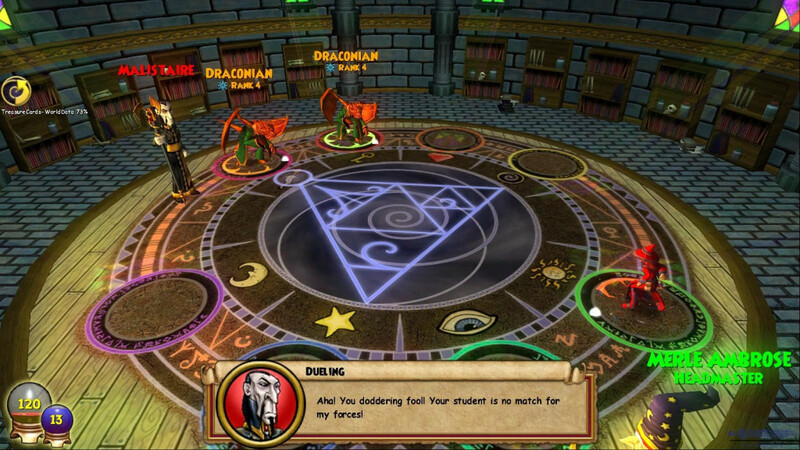 This disappoints him a lot since he is not able to have a worthy opponent to fight with.